Writer’s block, procrastination, a missing muse…whatever you call it, I’m a firm believer in sitting down to write, and writing anyway. The best method of getting through writing tasks is to [Nike plug] Just Do It. But for times when sitting down does draw a blank, today’s post will simply list a few ideas, tools and websites, and have some fun. 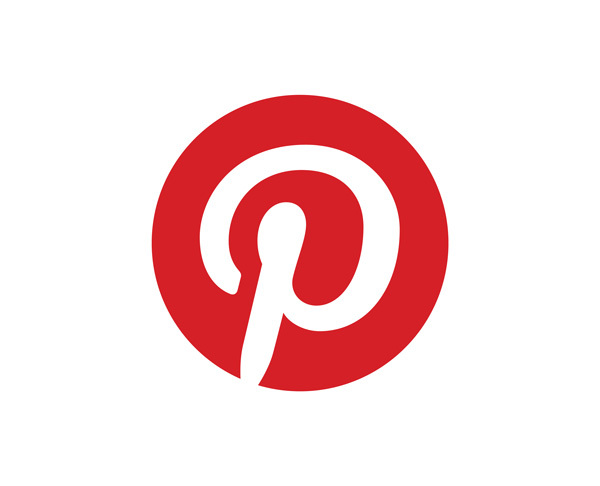 There is a bonus post for today also with an associated idea – the Idea Inventory. “You can’t wait for inspiration. You have to go after it with a club.” – Jack London. Okay, Jack. I believe you. Put down the club. But anyway, where do you seek such inspiration if you can’t simply wait around on your chair for it? 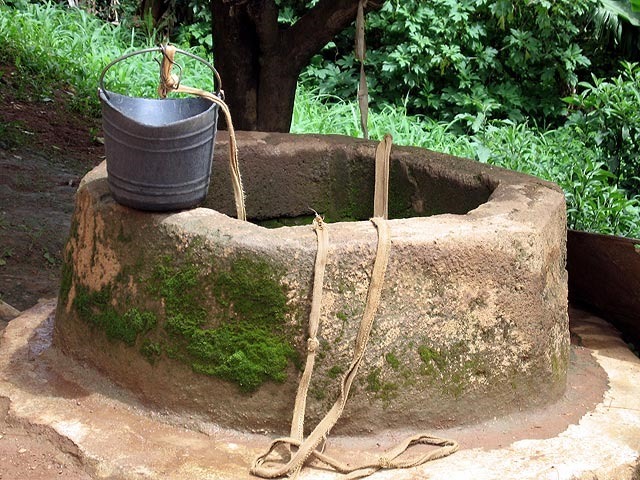 The answer often comes in the form of a “well”, it seems – a creative well, and a date. “This idea comes from Julia Cameron’s “The Artist’s Way” which is a fantastic book. It is basically some time alone absorbing and refilling your creative well… It can be something entirely different, like a pottery class or a show, or could just be a walk or a new gallery exhibition” – Joanna Penn, in a 2010 post describing the Artist Date. 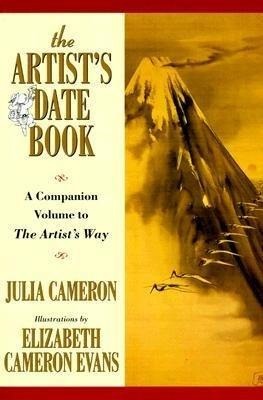 Artists Dates (with Morning Pages), are a tool described in Julia Cameron’s book ‘The Artist’s Way’. “Artist Dates are assigned play. Artist’s Way study group members have taken themselves on dates for decades now. I personally don’t enjoy going out alone to places like museums etc, – that’s fun as a family. But I do make use of the concept in my more simple “strolling in the park” habit when I get chair-ache. 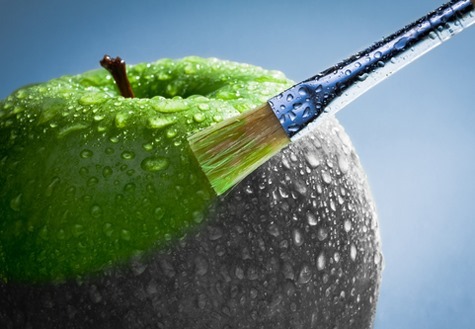 “…a brief glimpse of green prior to a creativity task enhances creative performance. This green effect was observed using both achromatic (white, gray) and chromatic (red, blue) contrast colors that were carefully matched on nonhue properties, and using both picture-based and word-based assessments of creativity. Participants were not aware of the purpose of the experiment, and null effects were obtained on participants’ self-reported mood and positive activation”. In other words, although the study subjects believed there was no effect on their mood or feelings of inspiration, those that were subjected to green were found to be more creative – without realising how. Note that this worked not only for visual image-based tests, but simply by seeing the word: green. Green. Green. Green. As yellow and sky blue signify happiness within many cultures, this study does explain why, when suffering from lack of inspiration or creativity, we are often advised to go and sit out in a park, a meadow, or a wood. More on the study here (which also is where the image came from). I’ve previously discussed exercises like free-writing and journal writing for both dumping worries out of our minds, planning out our writing day, and generally getting writing started with exercises. 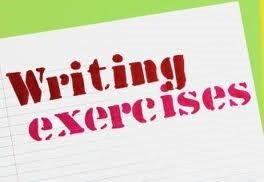 There are many [to the power of many] websites and books which offer writing exercises and prompts. Most work on the principle of setting a limit on our writing – normally a time limit, sometimes a word limit. Limiting our writing sparks further writing. Get yourself a few books, and bookmark some good websites for times when you want a fresh prompt or exercise. I’ve listed a few in the resources below. 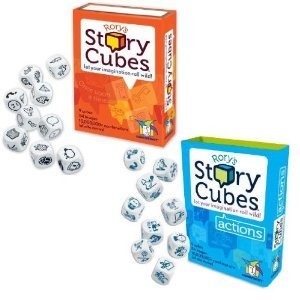 Creative writing dice packs, packs of cards to randomly inspire, there are even creative apps for your tablet or smart phone now. a similar card concept can be found in an iPhone app – iOblique. There are also some interesting writing prompt apps available, featured in this blog post. 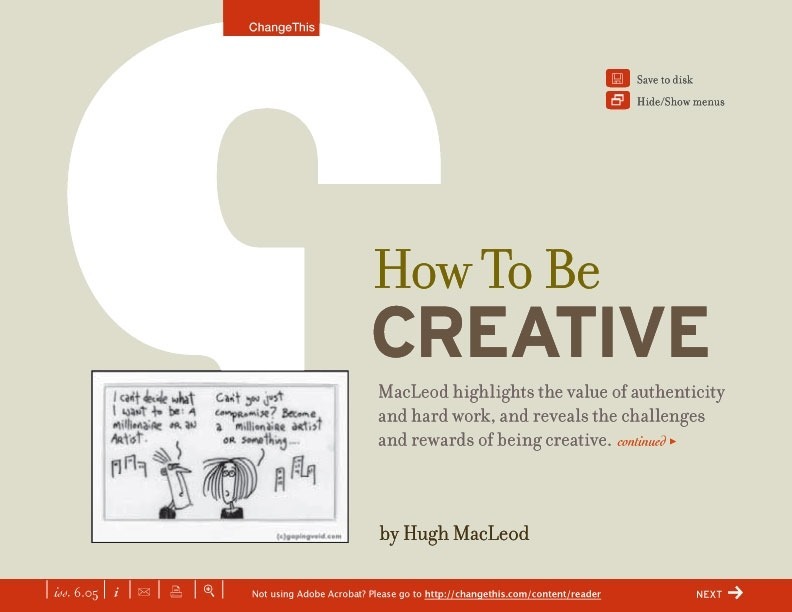 Download Hugh MacLeod’s ‘How to Be Creative’ from ChangeThis, subscribe to ChangeThis for other free manifestos, and also subscribe to Hugh MacLeod’s website Gaping Void. You have a great list of resources. I think I might choose my next book to purchase from you list.